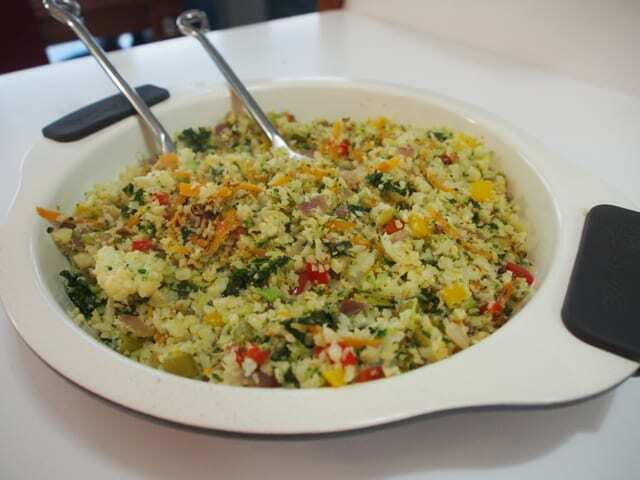 A simple, tasty and nourishing extension to Cauliflower Rice. Cut cauliflower and broccoli into pieces and place in the blender and pulse/blend until it resembles rice. Heat coconut oil in a large pan and cook mixed vegetables until just cooked, add cauliflower and broccoli and cook on a low heat until cauliflower has softened and is heated through, add fresh herbs and cook for another minute. Serve immediately.